THE OTHER SIDE OF THE WIND will screen on 35mm at the 6:45pm shows on Fri Nov 2 and Sat Nov 3, and at the 4:00pm show on Sun Nov 4. In 1970, Orson Welles began his final cinematic opus with a cast including John Huston, Peter Bogdanovich, and Susan Strasberg, but he never completed production. 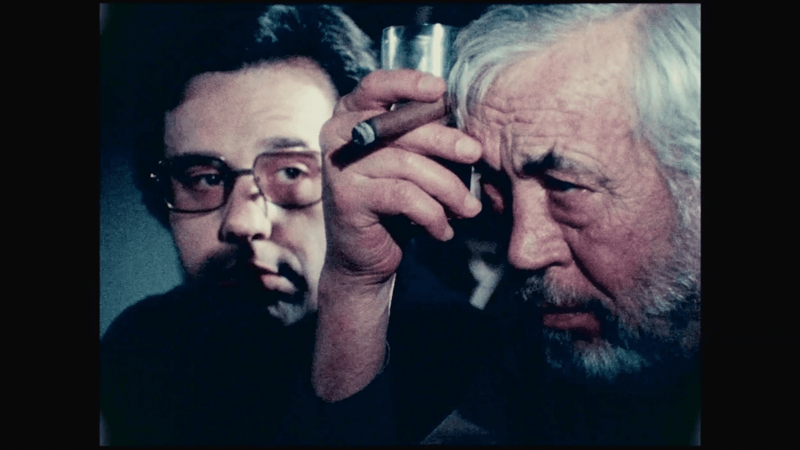 Newly reconstructed by a team of archivists and technicians from some 100 hours of footage, THE OTHER SIDE OF THE WIND tells the autobiographical story of a famed filmmaker (Huston) who returns to Hollywood after years in self-exile to complete his own comeback movie. A satire of the classic studio system, Welles's final film is a fascinating time capsule of a now-distant era in movie making. THE OTHER SIDE OF THE WIND opens after our week-long retrospective, "Directed by Orson Welles," featuring 10 films from Fri Oct 26 - Thu Nov 1! Also opening on Fri Nov 2 is THEY'LL LOVE ME WHEN I'M DEAD, Morgan Neville's documentary on the making of THE OTHER SIDE OF THE WIND.